References synfig::Color::BLEND_ALPHA_OVER, synfig::Layer_Composite::converted_blend_, synfig::ValueBase::get(), synfig::Color::get_a(), IMPORT_VALUE_PLUS, synfig::ValueBase::set(), synfig::Color::set_a(), synfig::Layer_Composite::set_blend_method(), and synfig::Layer_Composite::transparent_color_. References synfig::Color::blend(), synfig::Color::BLEND_STRAIGHT, synfig::ValueBase::get(), synfig::Layer_Composite::get_amount(), synfig::Layer_Composite::get_blend_method(), and synfig::Context::get_color(). References synfig::Context::accelerated_render(), synfig::ProgressCallback::amount_complete(), synfig::Color::BLEND_STRAIGHT, synfig::ValueBase::get(), synfig::Layer_Composite::get_amount(), synfig::Layer_Composite::get_blend_method(), synfig::RendDesc::get_h(), synfig::RendDesc::get_w(), and synfig::Surface::alpha_pen::set_blend_method(). References synfig::Context::accelerated_cairorender(), synfig::ProgressCallback::amount_complete(), synfig::Color::BLEND_COMPOSITE, synfig::Color::BLEND_STRAIGHT, cairo_paint_with_alpha_operator(), f, synfig::ValueBase::get(), synfig::Color::get_a(), synfig::Layer_Composite::get_amount(), synfig::Color::get_b(), synfig::Layer_Composite::get_blend_method(), synfig::Color::get_g(), and synfig::Color::get_r(). References _, synfig::Layer_Composite::get_param_vocab(), and synfig::Layer::set_description(). 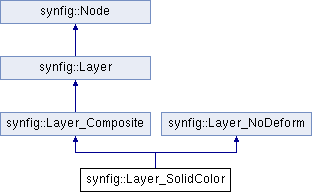 References synfig::Color::BLEND_COMPOSITE, synfig::Color::BLEND_STRAIGHT, synfig::ValueBase::get(), synfig::Color::get_a(), synfig::Layer_Composite::get_amount(), synfig::Layer_Composite::get_blend_method(), and synfig::Context::hit_check().